The National U-16 Boy’s football team competing at the Oceania Football Confederation U16 Preliminary Championship qualifiers in Tonga began its campaign on a positive note winning its first match against the Cook Islands 3 – 0. 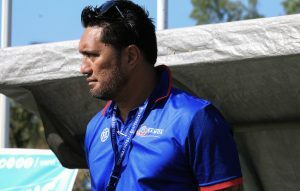 Jarvis Filimalae opened the scoring in 37th minute through a well work team goal, this was followed by a another Samoan goal by Fetuao Belcher after a goal line scramble taking Samoa to 2 – 0 half time lead. Although Cook Islands never gave up, it was the Samoans that continued to dominate the bulk of possession. The game was finally finished off by some individual brilliance by Jarvis Filimalae for this second goal and Samoa’s third in the 75th minute of the match. Jarvis is currently on scholarship at Hasting Boys High through a partnership between Hastings Boys and the Football Federation Samoa. Fetuao Belcher is a classmate and teammate of Jarvis at Hasting Boys and is the lone New Zealand born player on the team. 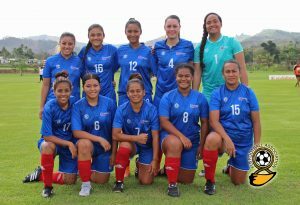 The Samoa U-16 team hope to continue its winning run when it plays American Samoa tomorrow at 11am. This final game is against host Tonga on Friday 20th July at the Loto Tonga Soka Center. The winner of the preliminary championship moves on to final OFC qualifying tournament for the FIFA U17 World Cup. The Final Qualifying Tournament is being hosted in the Solomon Islands from 9th – 22nd September 2018.